I slowed on my progress to complete the Fat Quarter Shop's Wishes" BOM quilt top that I made last year. Who could imagine that choosing a simple border fabric would cause the project to grind to a halt? When my head becomes so muddled I cannot make a clear decision the best course of action is to pack up the project and walk away. Mr E's second best advice has always been to 'walk away', and he's a wise fellow so I listen and comply. Now, almost two months since the last block was sewn and the main area of the quilt top pieced together, I chose the 2" wide final border print. Whew! Now all I need do is decide how to quilt it. If it was winter I'd throw it over my knees and hand quilt...but as yet, winter is a dream I hold on to. After stitching the border to my "Wishes" quilt top I could not escape the evidence of fluff build up in my sewing machine. 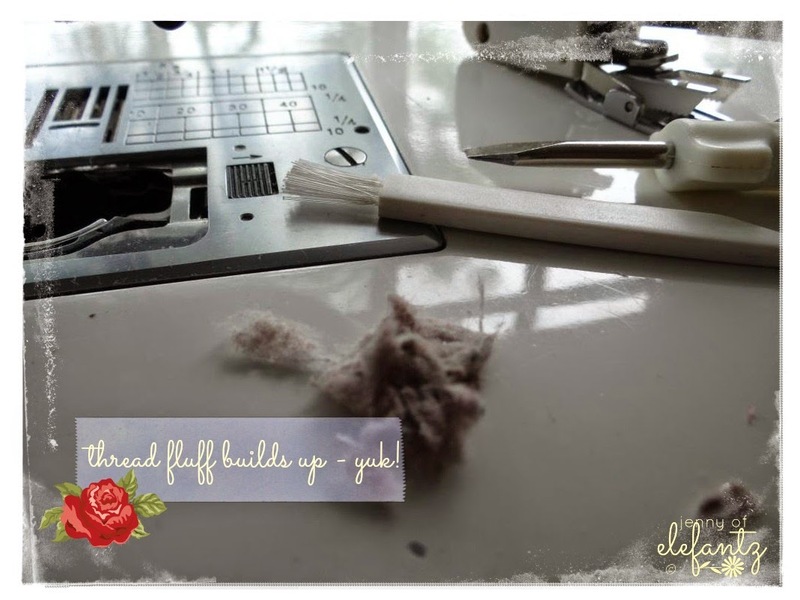 It's been a few months since I last gathered all the lint from inside and around the bobbin case, but THIS article jogged my memory to stay on track with machine maintenance. I thought some of you may need a little reminder too? 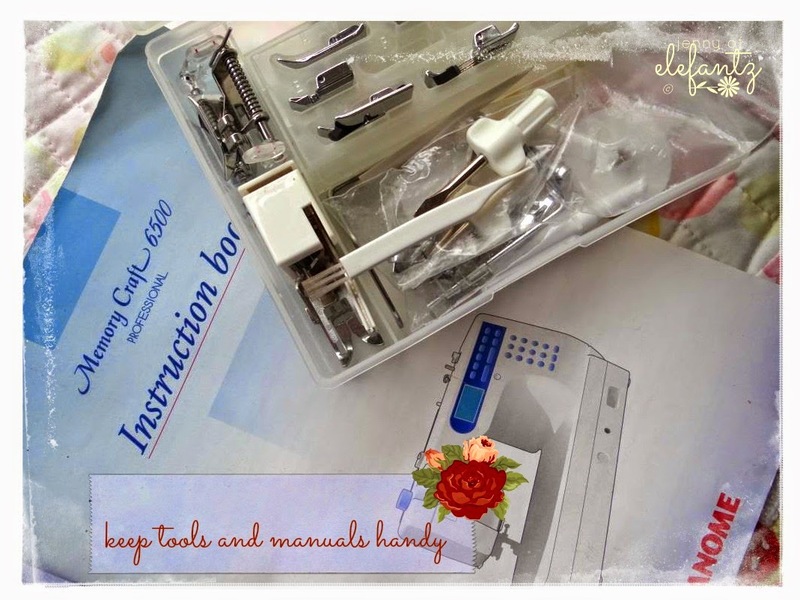 Now I'm ready to sew again! There's a true cool breeze blowing through the office today and even though it's 10:15am in the tropics I haven't had to turn the air conditioner on yet. That's pretty exciting to me, so I might continue on with my cleaning mindset and tidy my desk and fabric shelves. After my second coffee of course. Jenny I have been catching up on some reading and some light housework this morning. I might do some crochet later, and I am planning on running some errands later this afternoon after the heat of the day passes. 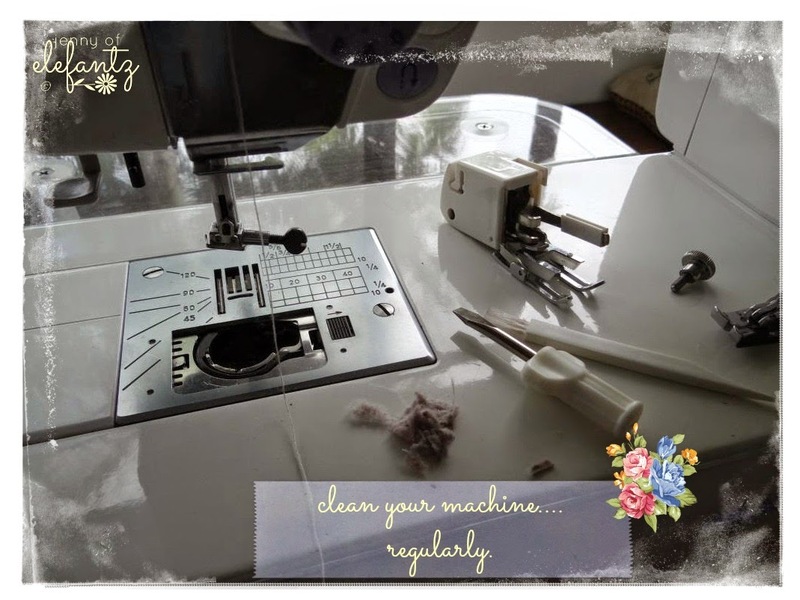 Thank you for the sewing machine maintenance reminder. I hope you are feeling much better and that you have a lovely day. 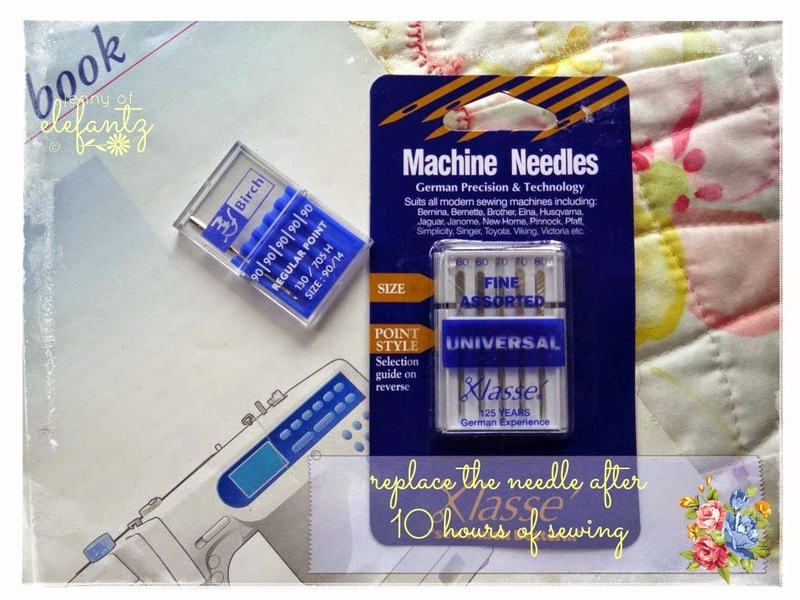 I fill 10 bobbins at a time and as each one lasts bout an hour when they are all empty, I know it is time to clean, oil, change the needle and refill all the bobbins. It takes me about 20 minutes and it is worth every minute. Love the colour you chose, Jenny:) I'll have to remember your advice about the machine! I am still so new to it that I would forget about things like cleaning it! He's a keeper, that clever man of yours. I hope your day remained cool-ish. 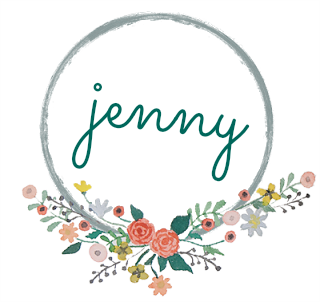 Jenny, you are SUCH an encouragement to me! I love it when your name pops up in my emails!! You bring me smiles, ideas galore! !, & you encourage my spirit! You are a blessing! I've been stitching up 9 little pillowcases for my grandchildren for Valentine's Day. Some day I'd love to embroider them as well. We are just entering Spring, & the daffodils are blooming, & color is entering the yard. Thank you for sharing your life with "us". I'm off to women's Bible study this morning, then home to finish a couple more pillowcases, & then clean my machine! ~ Thank you for the reminder ☺ The border you chose is beautiful! I dislike putting borders on quilts so that is a frequent stumbling block for me! 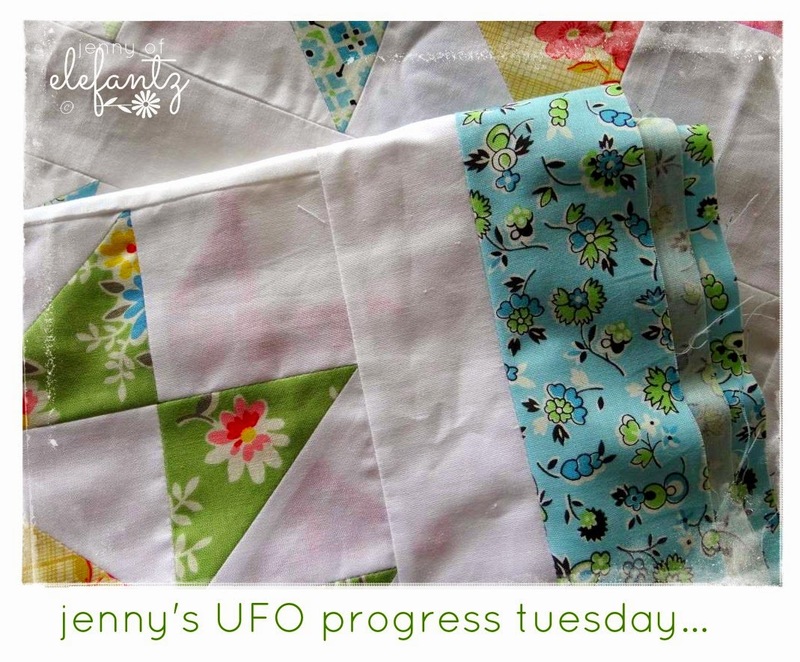 But I don't allow myself to start another quilt until I finish piecing a UFO, so they usually get finished rather quickly. Love Mr. E's advice - definitely wise! I want to start on a new quilt today - so exciting!!! But I need to finish adding foam to my granddaughter's guitar case and make a protective envelope for my new GPS unit. Yes, breathe is always good......! I have one of those wise men too! Beautiful border. I usually enjoy cleaning my machine once I start doing it. When you begin pulling out the fluff you realize how much better it will sew and it isn't work at all but a labor of love to a machine that provides such joy. On breathing. I have been having trouble sleeping lately so what I started doing was concentrating on my breathing. I will clear my mind and inhale on AB and exhale on BA. Then inhale on Je and exhale on Sus. Then inhale on Spir and exhale on It. This way I am clearing my mind and concentrating on the Holy Trinity. I am breathing deeply and restoratively. I keep my mind from wandering and perhaps dwelling on insignificant things that otherwise might keep me awake. I am falling asleep where insomnia has usually been my bedfellow. Just thought you might like to know how I am breathing! We have the same machine and I love mine. I just take the little "broom" and sweep out the bobbin area each time i rewind the bobbin. That doesn't do a thorough job but does seem to contain it. Now if i would remember to change my needle more often! Sincerely, Paula K.